If the recent BRICS summit at the Chinese resort Sanya on April 14 has to be summarised in a few words, then it is appropriate to suggest that the grouping had succeeded in expanding the roadmap for multilateral interactions comprehensively. This is no less significant as the grouping emerged only recently in 2009 at Yekaterinburg in Russia. The themes suggested to the heads of states to deliberate, interactions and final declaration – all indicated the constituent members’ desire to discuss, work for the goals of multilateralism in many ways than had been agreed to previously. Firstly, while such multilateral groupings existed before between the BRICS states, such as the trilateral meetings of Russia-China-India (taking off from Russian Prime Minister Yevgeny Primakov’s suggestion in December 1998), India-Brazil-South Africa (IBSA –from 2003), Brazil-South Africa-India-China (BASIC) on climate change proposals at the 2009 Copenhagen Summit meeting, these initiatives remained either geographically confined or limited in focus. The third meeting at Sanya thus expands not only the geographical reach of the grouping to include Africa, but also increased the number of issues like exploring cooperation in local currencies, curbing cross-border capital flows in emerging economies, food security, bio-diversity, countering cyber crime, sports, etc. Previously, the trilateral meetings (from the 2005 Vladivostok event) have mentioned the necessity for reforming the structure of the United Nations, including its Security Council. The Sanya declaration mentioned support to India, Brazil and South Africa (currently all these three are non-permanent members of UN Security Council) in their “aspiration to play a greater role in the UN” and possible coordination in the UN. Secondly, a strong imprint of the South-South dialogue and multipolarity is unmistakable at Sanya and indicates to the long-term experience and work of the BRICS countries in this field. In the “Broad Vision and Shared Prosperity” speeches of the four presidents and one prime minister at Sanya, it is clear that the common minimum agreeable propositions have been laid out and resolved to work for an equitable world order based on rules, sustainability, predictability and of peaceful transition. 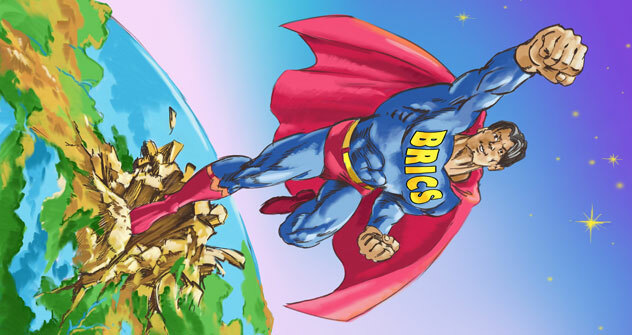 Thirdly, although the BRICS economic and financial status has risen in the last decade, several indicators indicate that they are still marginal in their influence on the global and economic order. By deciding that the BRICS constituents would work together in coordination and cooperation with each other at several levels, the Sanya deliberations and declaration re-emphasised such work in the multilateral field. For instance, despite the BRICS emerging significantly as larger economies with higher economic growth rates, the intra-BRICS trade is currently marginal and at best lopsided in nature, with huge favourable balance of trade in favour of one or another. As such the BRICS countries trade very less as compared to their other trading partners, specifically with that of the United States and Europe. Diversifying trade from these countries as well as cooperating among themselves could benefit the BRICS. The action plan prepared at the venue, viz.on periodic meetings between finance ministers, central bank governors, representatives of international organisations, and inancial cooperation between development banks further provides concrete steps for the growth of the BRICS. Fourthly, despite divergent political systems in the BRICS, the Sanya declaration was unequivocal in criticising the recent no-fly-zone and military action by the NATO forces in Libya and suggested that the UN Charter respecting the sovereignty of the member states should be respected. The declaration called for multilateral initiatives such as by the African Union and deliberations at the UN. Nevertheless, the declaration was significant in mentioning that the “legitimate aspirations of their [Libyan] people” should also be respected. Overall, the significance of the BRICS should not be under-estimated. In a span of three years, the multilateral grouping not only was expanded, but also had attracted global attention. While the impact of the BRICS on the international order may not be known immediately, the BRICS are making an effort, as Indian Prime Minister Dr Manmohan Singh said in his speech at Sanya, to “harness the vast potential” that exists among this multilateral grouping. Prof Srikanth Kondapalli teaches at Jawaharlal Nehru University, New Delhi.